7 Nights from £489 inc Flights, Hotel & VIP Transfers - £210 OFF! Set in the mountains below St. Hilarion Castle, this small holiday village has commanding views of Kyrenia and the Mediterranean coastline. 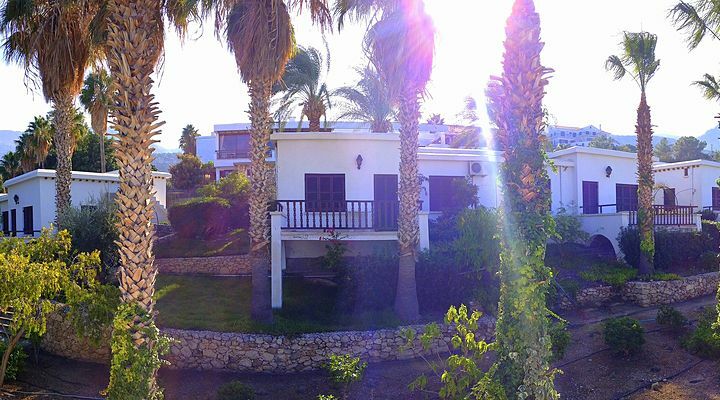 With hotel rooms and traditional style villas in the gardens, book the Onar Holiday Village for a relaxing holiday in North Cyprus at any time of year. The Onar Holiday Village is Turkish Cypriot to its heart, from the warm welcome from the family who own it, to the traditional style villas that harmonise with their surroundings. From the moment you arrive, you'll feel welcomed by the staff, who take genuine pride in their traditional levels of service. A sense of history and tradition continues out in the garden full of Mediterranean plants, and dotted with antique artifacts from Cyprus. Love the idea of a summer holiday in North Cyprus? 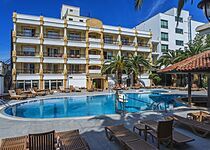 Go North Cyprus is ATOL protected and bonded with the CAA, so you can book online with confidence. Or call us on 0800 612 6600 - we're happy to help. 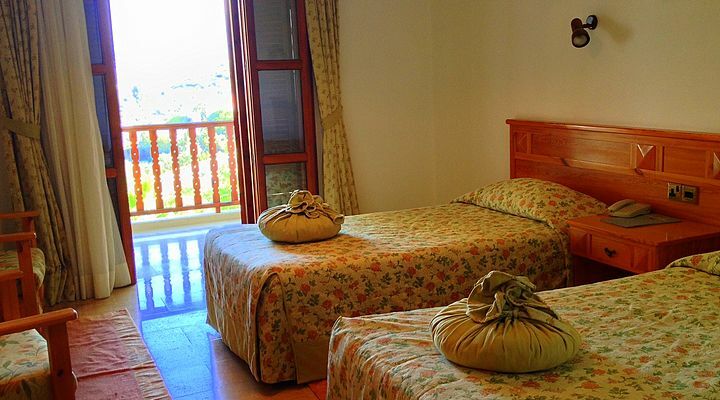 Choose from a light and airy hotel room in the main building, or one of the delightful garden holiday villas, styled like a traditional Turkish Cypriot home. 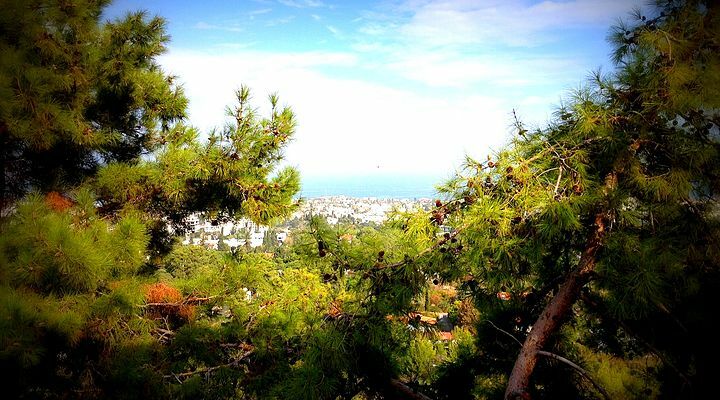 The hotel rooms have terrific views down to the sea and Kyrenia harbour from a private balcony. Sit and watch the sun go down with a drink from the minibar, or just chill out and watch the world go by below you. 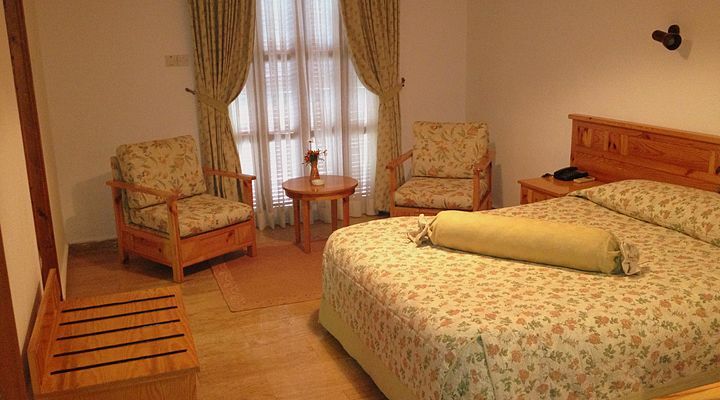 Each spotlessly clean room has an en-suite with shower, air conditioning twin or double beds, and satellite tv. The garden villas offer more space and privacy, with a large private terrace perfect for relaxing in the heat of the day or watching the sunsets. Inside, you'll find a spacious lounge with satellite tv, dining area, a full en suite bathroom and a twin bedroom. There’s also a a kitchenette with fridge so you can stock up on local snacks and fruit. 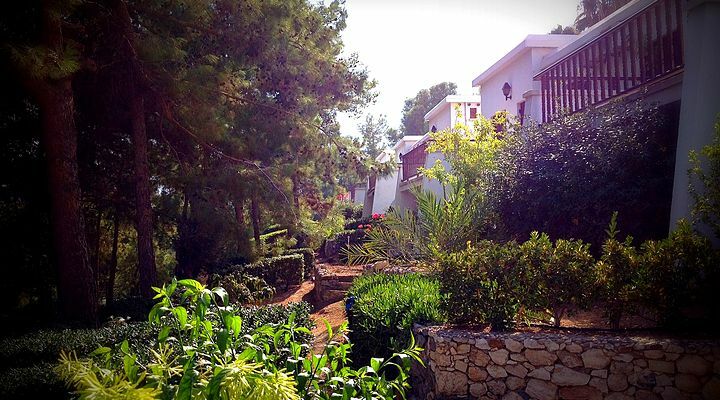 Outside, mature pine trees shield the gardens from strong sun and give the whole hotel site a sense of peace and tranquility. The outdoor swimming pool is just the perfect size for a leisurely swim or cooling dip, followed by some sunbathing on the poolside terrace. The well-stocked Pool Bar is almost within arm's reach of the water, so you're never far from an ice-cold beer or soft drink. Relax on a lounger and admire the views over the rooftops below to the sparkling sea and the distinctive curve of Kyrenia harbour beyond. 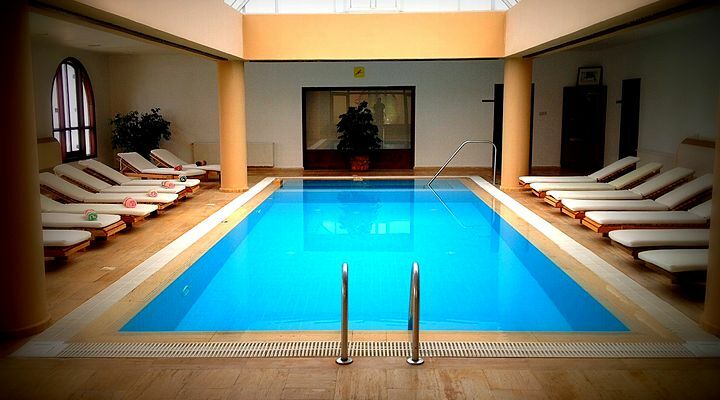 The heated inside swimming pool has a glass atrium roof, so is bright and enticing all year round. Relax in the hotel’s small but nicely laid out relaxation centre. Steam away stress the Turkish way in the traditional marble-lined steam bath or hamman, bubble away tired muscles in the jacuzzi, or enjoy the invigorating warmth in the hotel's sauna. You can also book massages and beauty therapies - just ask at reception for details. With free WiFi throughout the Onar Holiday Village, plus a cable terminal at reception for laptops, you can stay connected all through your North Cyprus holiday. Access all your favourite websites online without incurring high cost data roaming charges on your phone. You can also catch up on tv in the hotel bar, perhaps with a cool beer or a traditional Turkish coffee. For less technical relaxation, take a book from the hotel library to the solarium reading room. Enjoy your favourite international dishes and traditional Turkish Cypriot specialities at the Onar Holiday Village restaurant. 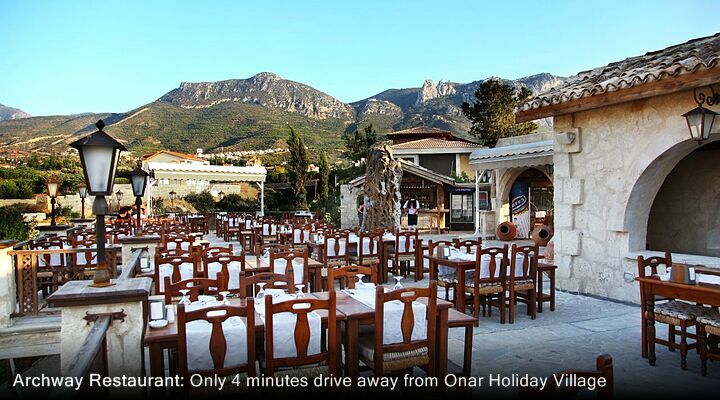 The Onar Holiday Village chefs are particularly proud of their special buffet evenings, featuring traditional Turkish appetizers and local specialities including charcoal-grilled kebabs and slow-roast lamb cooked in a clay oven (kleftiko). In the summer months, the staff lay tables out on the terrace and decking so you can dine under the stars. On winter breaks in North Cyprus, enjoy great views through the restaurant’s picture windows and the warmth of a roaring log fire. Take the shuttle bus into nearby Kyrenia and enjoy a delicious dinner right beside the historic castle and harbour, with a special discount for hotel guests as the Onar owners also own Cafe Chimera. (Try saying that after a Cypriot brandy sour or two!) Other local restaurants offer free taxi pick-ups - just ask at reception for details. Arrive at Ercan International Airport, enjoy a scenic drive in your private taxi transfer, and you could be checking out your villa in as little as 60 minutes from landing on your North Cyprus flight (baggage reclaim willing! ).